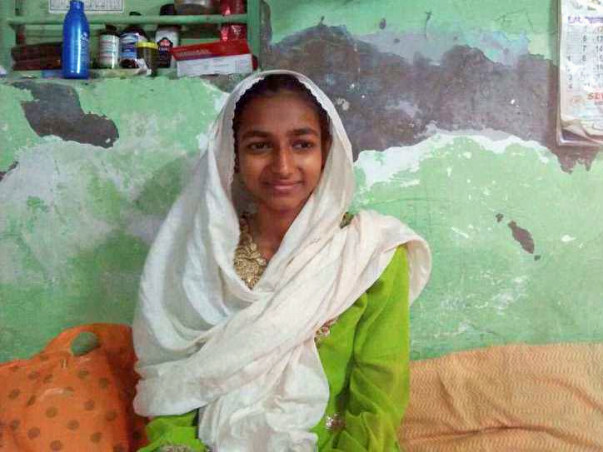 Naziya is a 16 year old girl who was healthy & was living a normal life like other teenagers till 2 months back. 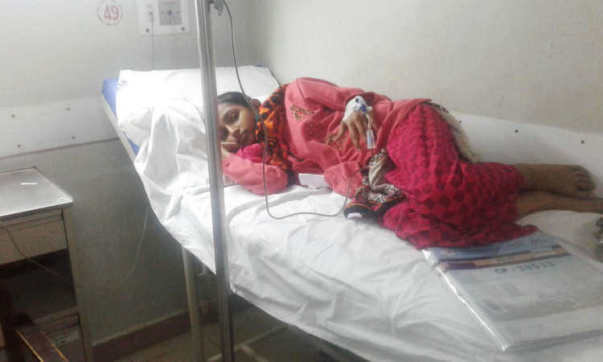 Suddenly she got fever which was not going even after taking medication from the local doctor in Kolhapur Maharashtra. The doctor advised them to do a blood check-up & some tests. 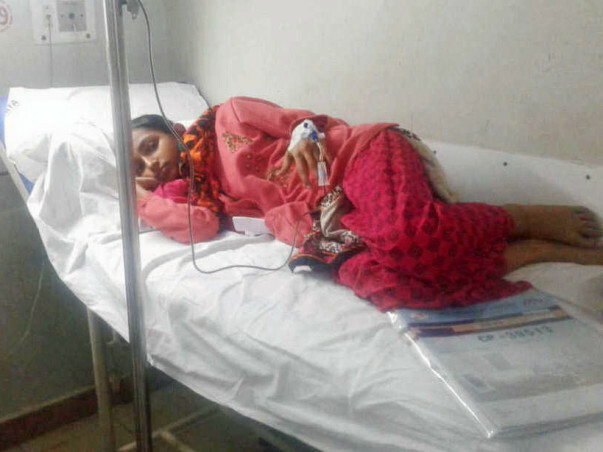 The results of the test moved her & her family's life upside down when they came to know that she is having blood cancer. 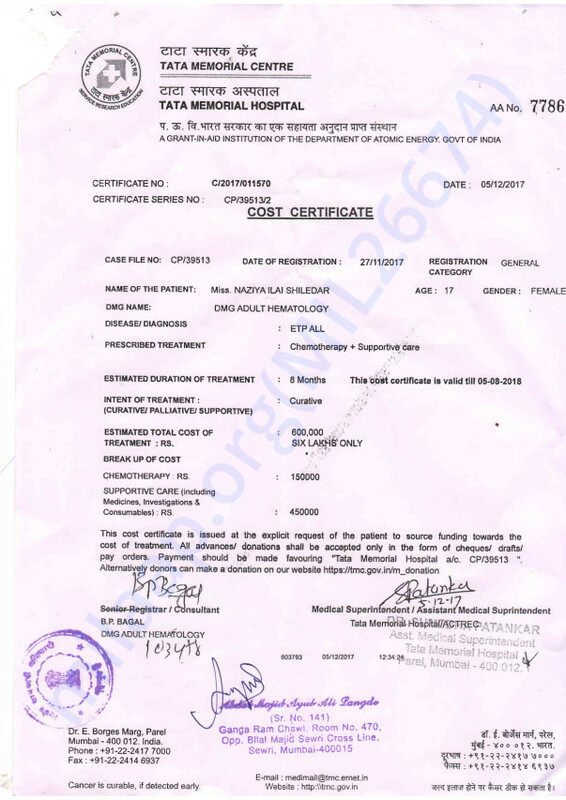 The only treatment for Naziya now is chemotherapy which costs around 6 lakh Rs. Naziya's parent's simply don't have the money. 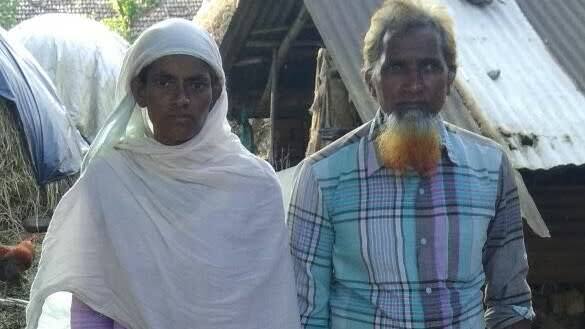 Being from a very poor family Naziya's parents, Ilahi Basher (48) and Ajambi (40), cannot afford her treatment cost. Soft-spoken and all smiles, 16-year-old Naziya loves going to school because she is good at her studies. Naziya's relatives who resides in mumbai came to know about this, they brought her to mumbai & started her treatment in Tata Hospital. 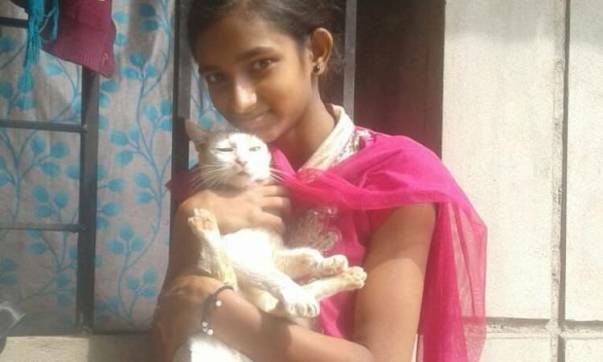 "Naziya's parents barely make anything. 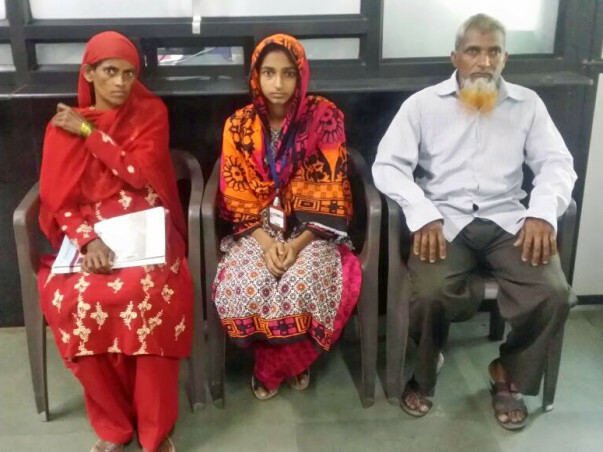 They work from Monday to Saturday, and then go the market on Sunday with whatever little amount that has been made.How can they manage to pay that big a amount when earning a meager Rs 100 is also a struggle for them," says her uncle.